Warm up this winter with this delicious tomato soup recipe. On a chilly winter’s evening and after a long day at work, we don’t feel like making an extravagant meal with a lot of moving parts. That is why January is dedicated to being National Soup Month. Soup is ideal for whipping up in a hurry with minimal ingredients. Not only can soup be delicious and nutritious, but it’s warming and wholesome for the whole family. 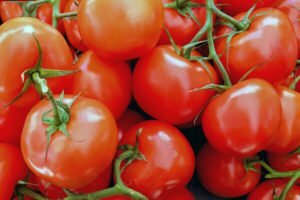 Take a look at this tomato recipe to start! Add the chopped onion and crushed garlic to a pot with the coconut oil and sauté. Add in the oregano and dried basil and sauté until the onions are softened. Add the whole peeled tomatoes, peeled and chopped potatoes, sugar and 2 cups of vegetable stock. Bring to the boil and then turn down to simmer until all the ingredients are soft and cooked (around 30 minutes). Using an immersion (handheld) blender, blend into a smooth soup. If you don’t have an immersion blender, then transfer to a blender jug and blend it up in stages and return to the pot. Serve with a sprinkle of dried basil and dried oregano and fresh basil leaves. From the team at McCarty Insurance, we hope that you enjoy this tomato soup recipe! Visit us in Fresno, California to secure your insurance policies.